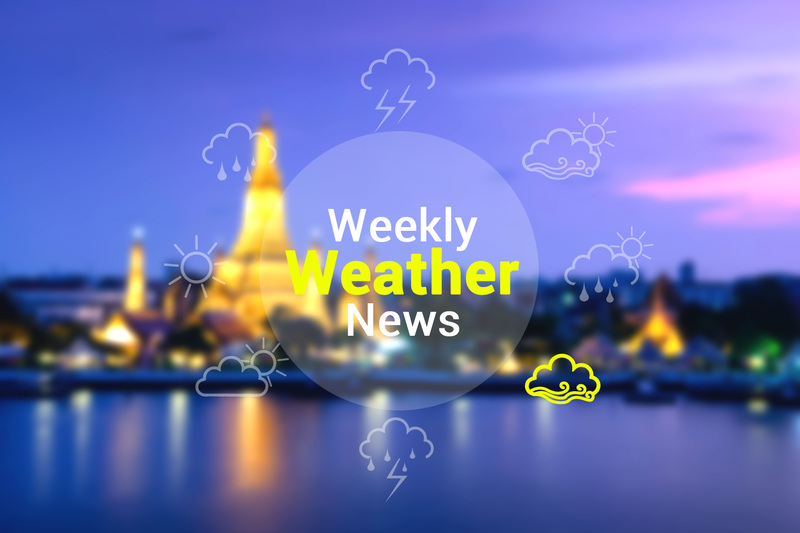 During 12th-14th of Feb, The weather in upper Thailand is expected to be cold and windy, as the temperature is foreseen to drop with 3-5 degrees Celsius, starting from the Northeast, and the other parts will be affected in the next phase. Widely scattered to scattered thundershowers are mostly expected in the lower Gulf of Thailand and the Andaman Sea. Wave height is expected to reach about 2.0 meters. 3-5 degrees drop in temperature with morning fog and thick patches in some places are expected During 15th -18th of Feb, moreover, widely scattered to scattered thundershowers will take place, with cold to very cold weather on mountaintops. Wind-wave in the Gulf and the Andaman Sea is expected to weaken.